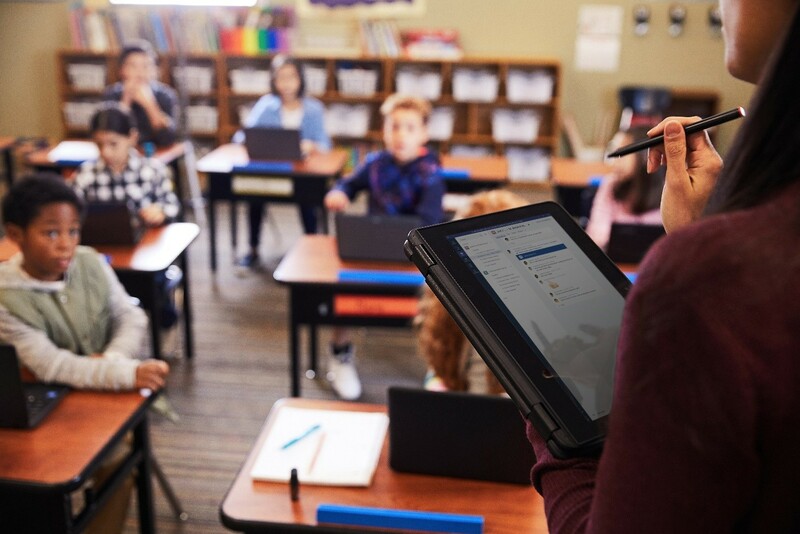 Education plays a significant role in this change and Microsoft published a sharp piece of research recently, examining this. In this research, “The Class of 2030 and life ready learning: The Technology imperative”, the study was extensive, involving input from 70 leaders, a review of 150 pieces of existing research, and surveys with 2,000 teachers and 2,000 students from Canada, Singapore, the United Kingdom, and the United States. 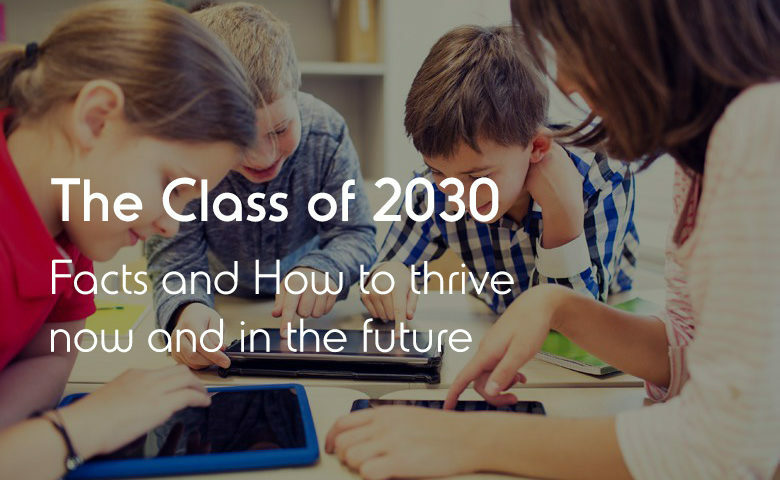 The main focus was to examine the needs and ambitions of the children today who would become the class of 2030, as well as those closest to understanding and shaping their world. While these features are not new to education, are now important as employers are beginning to settle a premium on social and emotional literacy – with up 40% of future jobs requiring social and emotional competence. Besides, it has to be mentioned that school organizations have recognized the impact of these cases on students, identifying them as crucial components critical to how students thrive and succeed. In fact, personalized learning that supports skill development, in both a cognitive and social manner, is a driver for higher autonomy and control in students. Tools that foster personalized learning. ''It is a fact that, teaching as a profession is projected to grow by 3 to 9% in the next decade. But teaching will shift to more of a coaching model, as technology advances allows teachers to spend less time on routine tasks and give them new ways to understand and interact with their students", according to the research. Even the students themselves revealed a desire to improve their social and emotional skills. This desire included the ability to explore and make choices that expedited their curiosity and potential and to have teachers understand them as individuals. These students also prioritized social-emotional and higher-order skills, prominently digital skills, creativity, and problem-solving. The research highlighted three technologies that are promising and powerful for supporting these core needs. Collaboration platforms: Business software that adds broad social networking capabilities to work processes. Students can interact and work together, and teachers will discover new ways to engage their professional communities and provide personalized feedback to the students. Artificial Intelligence (AI): Engagement with AI allows for higher curation of content. It also makes it easier for teachers and schools to understand students’ progression. Mixed reality: It is the merging of real and virtual worlds to produce new environments and visualizations where physical and digital objects co-exist and interact in real time. With mixed reality, students will have immersive learning experiences, and this will foster increased cognitive and social-emotional growth. The class of 2030 is the destiny of our increasingly futuristic world. This generation will face social and global problems that we have not seen before. By equipping them to learn and engage with each other, as well as with the digital world that surrounds us, they can be qualified to enter a workforce, different than any other we have faced until today. 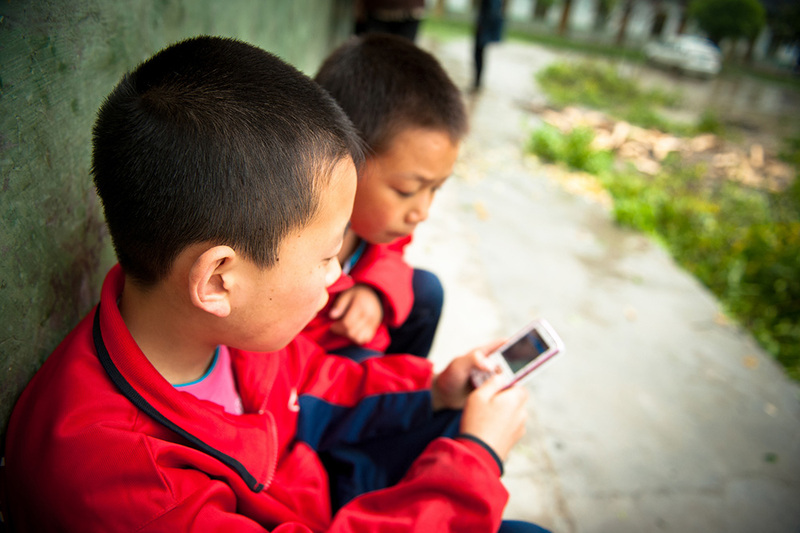 They will not know life without smartphones. They will store their whole lives on their smartphones. They will probably carry portable AI devices. They will also carry pocket-sized computers. Their school will submit a lot of e-classes. Textbooks will be a sweet memory of the past. 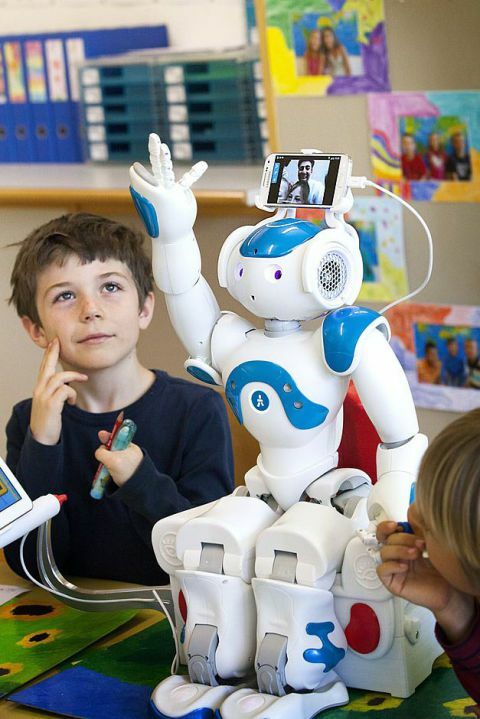 They will be taught in part by "Teaching Robots." Their education will be individualized. They could have phones implanted in their heads. Their clothing could connect to the internet. Their cars will be 3D-printed. They will not need to take standardized tests to get into college. Half of today's traditional universities will no longer exist. They will be known as Generation Alpha. They will also be known as "screenagers." They will be the most diverse generation yet. They may also be the wealthiest generation ever. They will not know what a check is. On the bright side, they will live longer. For these reasons, current educational techniques need to be better aligned with what we know about learning: different students develop and learn at different rates. They learn best when they find the subject theme exciting and relevant, therefore, there is an increasing demand for personalized and adaptive learning techniques. There has been an unprecedented shift from the standard software solutions which were developed to meet organizational needs because technology has evolved in recent years. According to McKinsey's Global Institute (MGI) research, there is an estimation that globally, about 50% of the work people are doing today could be automated by existing technology by 2030. However, the qualities of the job market demands will shift in significant ways. Besides, MGI predicts that new jobs created by technology, rising incomes, and consumption as well as by investments in infrastructure and renewable energy will fuel steady growth in global employment. In the future, the job market will demand professions with cognitive abilities in numeracy, problem-solving, critical thinking and creativity. The highest growth will be in occupations that are easily automated and linked to macroeconomic trends such as aging populations, rising incomes and higher spending on technology. Education will be one of the professions to grow in the next decade, and educators' role will have a steep rise in importance. These changes will affect the way primary and secondary education systems, around the world, need to help students increase their social-emotional skills and extend their cognitive abilities. How can leaders and educators help the class of 2030? The problem with teachers, school leaders, and education systems is that although they are willing to make changes, they don't know where to start. There are some easy ways in which everyone involved in education can begin today to make changes that will benefit the class of 2030. Personalized learning that leverages technology can be an effective way to make learning more student-centric and enhance students’ social-emotional skills. Teachers could create, with the help of other educators, programs that explicitly approach social-emotional skills. To help students learn how to make responsible decisions, teachers can enhance digital environments to provide students with safe spaces to practice. As an example, they can teach them how to accommodate the needs of others when creating worlds in Minecraft. This is an excellent chance to develop deeper emotional literacy and introduce strategies to resolve challenges or understand viewpoints. School leaders play a critical role as they create the ''cultural climate'' for their school. They can set the stage in two ways, first of all by training staff in personalized learning and identifying social-emotional skills. The involvement of school leaders, will increase teachers’ confidence with both the tools and the socially embedded nature of online collaboration. Additionally, school leaders can improve teachers' professional development by providing personalized learning programs that allow teachers to individualize the entry points, credentialing, and learning mode of their training, including mixed learning. Education system leaders should give priority to the social-emotional skills and personalized learning. These approaches are crucial to the function of the school because they build social capital and meet the needs of a dynamic workforce. System leaders can track schools that are already successfully piloting programs to develop social-emotional skills and personalized learning or that provide encouraging chances to perform new courses, training, or technology. The education system relies on the accuracy of the credential itself, no matter what the field or occupational level. Also it ensures that every student graduates with the skills necessary for modern 21st-century literacy: the ability to make cross-cultural connections, the ability to have tech fluency, the ability to understand and synthesize multiple sources of information, the ability to work collectively, the ability to respond ethically to our complex environment, and the ability to understand and integrate various sources of information. It will take some efforts of school leaders at every level to make the organizational shifts necessary to move educational systems from a mass production model to a collective customization model. Those shifts will not happen, however, until more factors change their old-fashioned ways, and apply more innovative approaches in education. At this point, end-to-end systems are an essential infrastructure for educational organizations to be ready and to face those future changes. 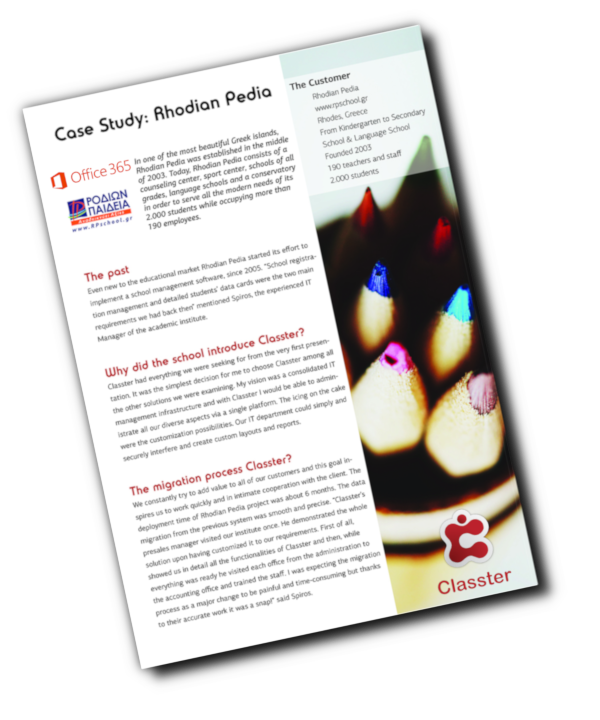 That is the reason why Classter, an all-in-one school & learning management system, providing an innovative solution, such as SaaS (Software as a Service), is an asset that provides benefits for every organization. Investing in technology and in state-of-the-art solutions, has a positive impact on every organization that has to face future needs. With this knowledge in mind, the Class of 2030 will be well educated to meet the challenges of the future.